Tambour cupboards have space saving shutter-style doors that do not need to open outwards. The Dams Deluxe Flexi Tables are available in a variety of shapes and sizes creating a wide number of possible configurations, making them ideal for all different applications from canteen facility to meeting rooms. The chrome folding leg frame makes them easy to fold and store and prevents scratching. Customise your ideal layout, move around or add as and when you need to accommodate your requirements. Ideal for meetings & seminars easily stacked to save space. 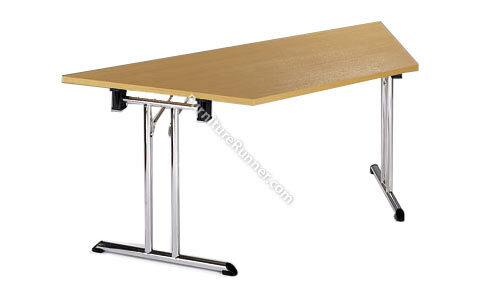 This table is suitable for use in boardrooms and meeting rooms.